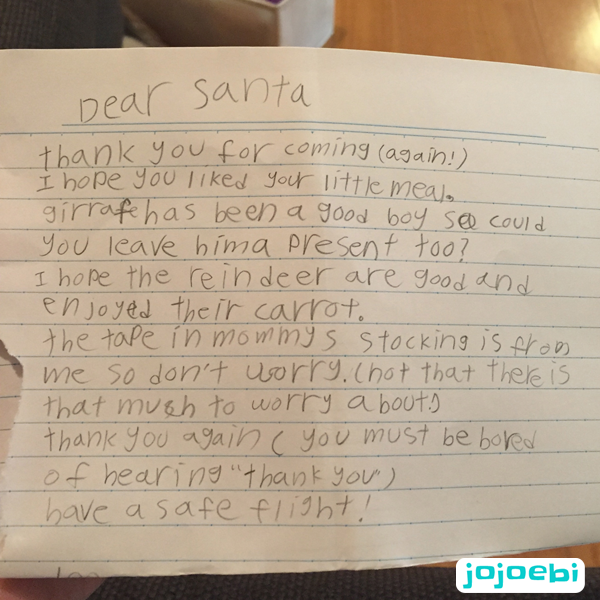 Ebi-kun makes me laugh, he wrote a letter to Santa along with a request for a handprint of Elf (who leaves the gifts in his advent stocking) and left him a couple of mince pies, some brandy (we were out of sherry) and a carrot for Rudolph. Really made me chuckle, luckily Santa had a bag of chocolate sprouts handy, perfect for a well behave giraffe! And the gift for giraffe was actually the only thing he asked for. Christmas eve I went to the doctor - he was surprised because I didn't have Ebi-kun in tow! The side of my face was swollen and painful from an infection and my glands swollen too plus I had virtually lost my voice, he put me on antibiotics, fun over Christmas! So Christmas morning I woke up about 4am with my head splitting, it felt like an alien had hatched and was trying to find a way out my skull. I took a couple of painkillers that the Dr had also prescribed but they had the opposite reaction. Not a good start to the day. In the UK we open our presents on Christmas day but I have many European friends who do it the night before, it's interesting seeing everyones facebook feed and how they celebrate. I was also super grateful that I made the reusable Christmas bags a few years bag. 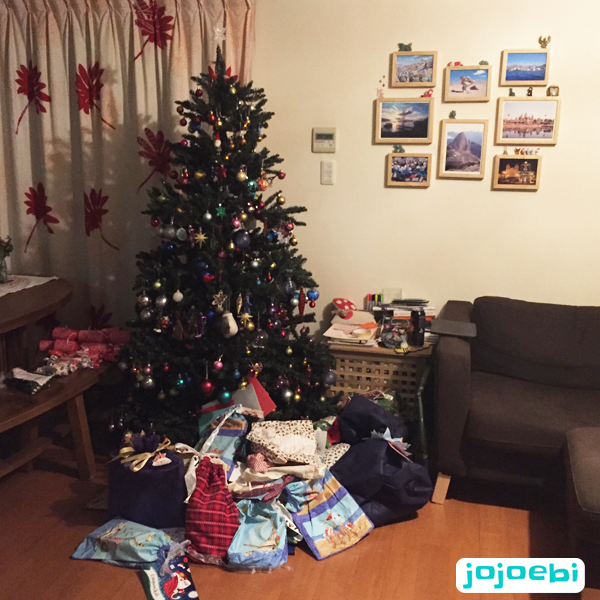 Wrapping time is down to a minimum and there is next to no rubbish to throw away. It might have taken quite some time to actually make the bags but each year I use them I am more and more thankful that I made the effort to do so! If you celebrate, when do you open your gifts?